Andris Nelsons, has been appointed Music Director of the Boston Symphony Orchestra, becoming the the 15th man in that position since the BSO’s founding in 1881. Maestro Nelsons, born in Latvia on November 18, 1978, is the 3rd youngest and first Latvian to head the orchestra. Nelsons will take on the title of BSO Music Director in the 2014-15 season for an initial five year commitment, leading 8-10 weeks of programs during the BSO’s 2014-15 subscription season in Symphony Hall in Boston; he will lead 12 weeks of programs each subsequent year of the five-year contract. Mr. Nelsons will also lead several programs each season at Tanglewood, the orchestra’s summer music festival in the Berkshire hills of western Massachusetts. Maestro Nelsons conducted a segment during last year’s Tanglewood 75th anniversary concert. 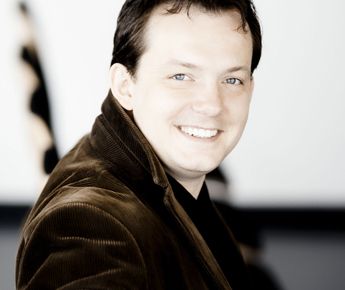 Andris Nelsons is on the 2013 Tanglewood schedule, leading the BSO, on July 27, in a performance of Verdi’s monumental Requiema, on a program that includes a quartet of internationally acclaimed singers, and the Tanglewood Festival Chorus. Mr. Nelsons succeeds James Levine, who was music director of the Boston Symphony Orchestra from 2004 to 2011. Mr. Nelsons is the third youngest conductor to be appointed BSO music director since the orchestra’s founding in 1881: Georg Henschel was 31 when he became the orchestra’s first music director in 1881, and Arthur Nikisch was 33 when he opened his first season with the orchestra in 1889.